You'll be staying in the heart of Britain, amongst spectacular scenery that spans out around your tent in wide swathes of glorious countryside. It doesn't get much better than this. Run, walk, explore to your heart's content and never run out of new places to discover. Glamping is so wonderfully inclusive. People of all ages will love it because it provides you with a holiday that is truly the best of both worlds. Youngsters love going slightly wild in the great outdoors, while the older of our guests will find there is absolutely no compromising on comfort thanks to the luxury interiors and facilities. This is a hassle-free get-away. Even the dog is welcome, so you can really enjoy a whole family get-together without leaving anyone behind. It's not always that you'll be able to find holiday accommodation within easy reach of all the things you're after. 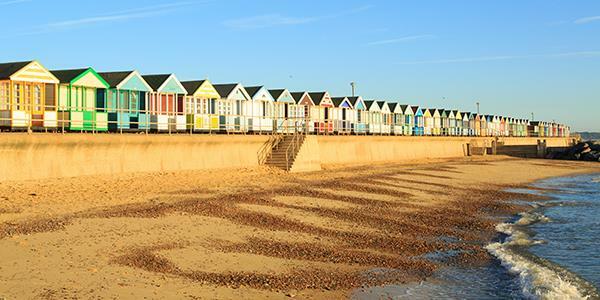 Each of our sites has been handpicked for its proximity to other attractions, whether that be coast, beauty spots, towns or touristy days out. It does you good to retreat into nature for a while. No phones or emails pinging at you all the time. Forget about work and the bustle of everyday life. Go for long walks, get the blood pumping and breathe fresh, clean air. You'll feel so much better when you get back: refreshed and ready to go! We want your holiday to be as hassle-free and relaxing as possible. That's why you'll find our 'tents' are more like canvas cottages than anything. There is proper furniture including extremely comfortable beds, wood flooring throughout, plenty of space, a kitchen, warm running water, your own WC and shower. This is your prefect chance to really reconnect with loved ones, whether that be friends, family or your partner. You can't get distracted by the TV or internet. You can curl yourselves around the fire pit under the stars and just chat. Who doesn't love a good campfire? Glamping is a great excuse to get your matches out and start (responsibly!) playing with fire. 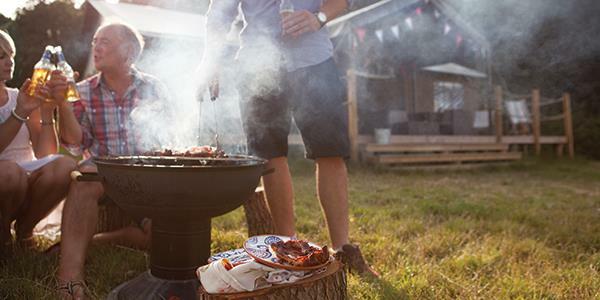 Each of our tents comes with its own outdoor fire pit and unlimited logs for the duration of your stay. The fire pits double up as a source of heat for evenings out on the decking, and a barbecue for that enviable al fresco dining experience. Kids love having the opportunity to make s'mores too. 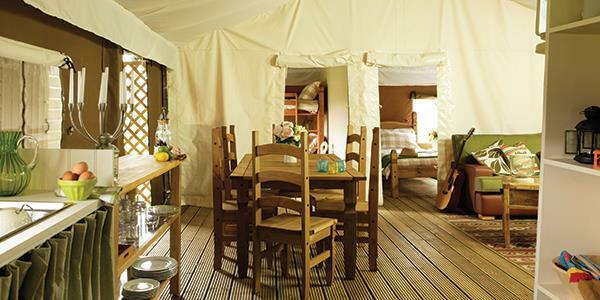 Glamping is a great way to get the little ones doing something new and different. With a campfire or the log burning stove inside, you can get creative with recipe ideas and all pitch in to make some healthy breakfasts or big stew dinners (take a look at some of our recipe ideas here). If it's safe and you know you're allowed, why not forage for bits too? It's so important for youngsters to experience the outdoors. 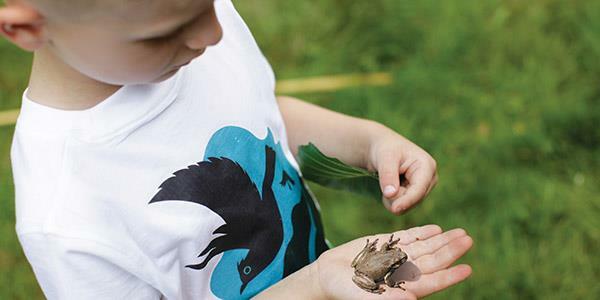 Let them get back to nature, get a little messy, track creepy crawlies, identify birds and invent new games. They'll love it. Plus, all that air and exercise will really tire them out! The outdoors is right there; one step outside plants you firmly in the peaceful depths of nature. Spend your holiday your way! Glamping gives you the means to do as much or as little as you like. The sites are comfortable and peaceful enough for you to spend all day there soaking up the atmosphere, reading a good book or watching the children scamper. If you fancy a wander, there is no end of wonderful walking routes to make use of during a lazy afternoon. Or, if you want a day out instead, you're not far from civilisation.